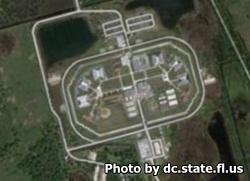 Charlotte Correctional Institution is located in Punta Gorda Florida. It is a level VI facility that houses nearly 1,300 adult male inmates of varying custody levels. Although this facility does not offer any substance abuse or vocational programs, it does offer a wide variety of educational courses that include: Adult basic education, GED classes, and literacy programs. This facility participates in the P.R.I.D.E. program which allows inmates to work on something called the Citrus squad. Re-entry programs at this facility prepare inmates for release and provide a foundation for inmates to successfully reintegrate into society. Visiting is on Saturdays and Sundays from 9am-3pm for approved visitors only. You may arrive at the facility no earlier than 7:30am. Registration for visiting will begin at 8:15am and will end at 2pm, so if you arrive after 2pm you will not be admitted to visitation.